Countries are trying their level best to cut down CO2 emission. Companies are doing their bit to help the government. 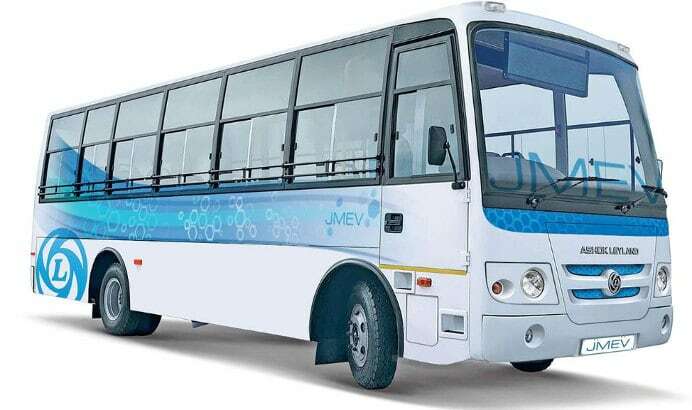 Ashok Leyland hailed as one of India’s prominent truck and heavy duty vehicle manufacturers of India, has launched its first ever electric bus under the brand name Circuit. Ashok Leyland unveiled its eco-friendly bus project in 2015 and at that time, the firm promised to launch the buses commercially before 2017. The company kept up its promise as the first unit of Circuit Electric Bus has hit the roads. Ashok Leyland Circuit has great features and more importantly, it doesn’t emit greenhouse gasses which cause air pollution which in turn leads to global warming. If the owner charges its battery with energy supplied by an eco-friendly power plant, it will never be responsible for air pollution. The Circuit Electric Bus, like other buses available in India, takes aboard up to 65 passengers at a time. Once the battery charges up to 100%, you can drive the bus up to 120 kilometers. Ashok Leyland’s Circuit series bus offers several charging points. It also has WiFi hotspot system to allow users connect their cell phones to the internet. The bus has a robust safety system. As per online reports, the Electric Bus from Ashok Leyland costs between 1.49 to 3.49 crores. The battery is the most important component and it is the reason for its exorbitant cost. AL has used imported batteries in the Circuit Electric Bus. As everyone knows, if you buy a product from the US, the Government imposes custom duty charges. The Ashok Leyland Circuit Bus price may drop once the company starts manufacturing batteries locally. It is ideal for the state Governments looking forward to replacing the aging fleet of buses. It is also suitable for large private transport companies under the Government scanner for air pollution. Ashok Leyland will sell up to 49 buses this and next quarter. If it gets a good number of customers, the company may manufacture up to 201 electric vehicles next year. As of today, AL is the only company Indian company to introduce a commercial electric bus. Other manufacturers such as BharatBenz, Tata Motors might be observing the moves of Ashok Leyland closely. They might also introduce or announce eco-friendly buses to take on AL Circuit.